Your vision shouldn’t have fingerprints, so neither should your lenses. Many of us clean our glasses the wrong way, using our shirt or even (gasp) a napkin in emergencies. Not only does this not clean your glasses, it can permanently scratch your lenses, making you wish you just had the fingerprints back. 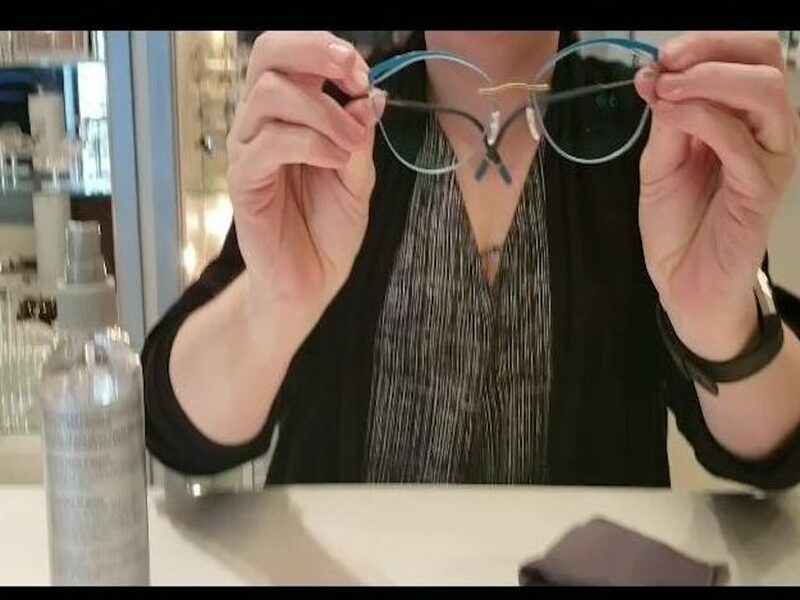 Two of our opticians, Mandy and Kang, show you how to properly care for your specs. Take note of the technique – no circular motion! Who knew? Mandy shows you how to get the drek from your specs.